If you are looking at luxury castle wedding venues in Scotland, especially in the Aberdeenshire area, then Wardhill Castle should definitely be on your shortlist. Surrounded by hundreds of acres of beautiful parkland and with stunning views in all directions, this is a fabulous place for an extended celebration. In addition to 8 newly decorated bedrooms for family and friends, the grounds also have two expansive areas for a marquee setup. One of which is the secret walled garden. Let’s take a closer look at what a Wardhill Castle wedding would be like. Most wedding venues in Aberdeenshire enjoy tranquil country settings, with Wardhill Castle located 8 miles north of Inverurie close to the village of Meikle Wartle. 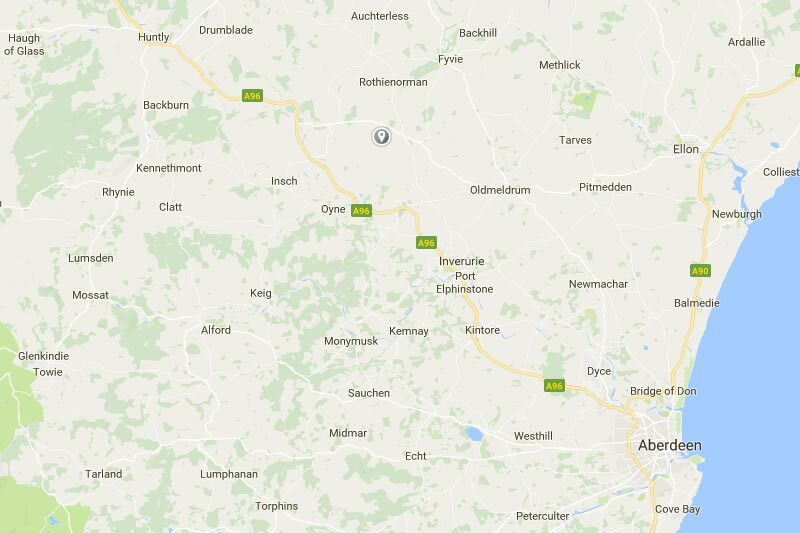 Aberdeen is the closest city at 25 miles away, with a journey time of approximately 40 minutes. On arrival you will find a big parking area right next to the castle, for your guests to make use of. And with a driveway suitable for large vehicles, you could put on coach transportation too. 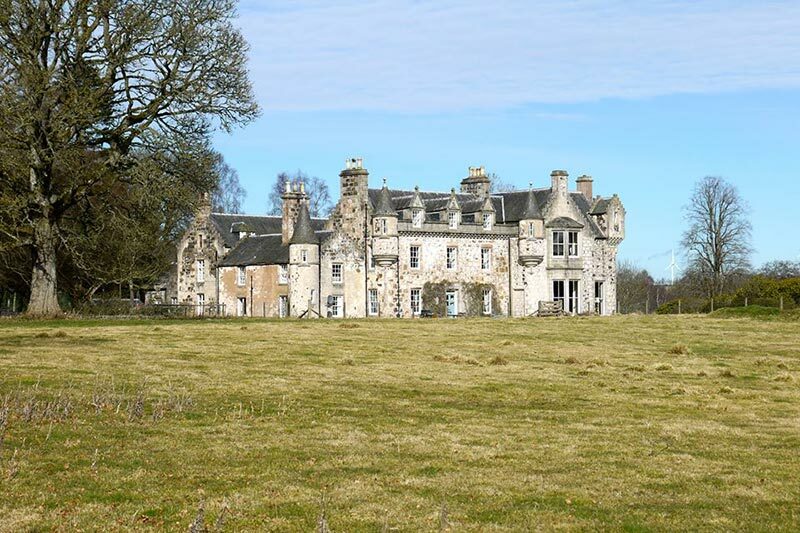 First and foremost Wardhill Castle is an exclusive use wedding venue, so you will get the mansion and grounds all to yourself for the duration of your stay. Combine this with over 400 acres of managed parkland, and you have a place which is both private and isolated. There’s a 2 acre walled garden which is a wonderful area for a relaxing walk. 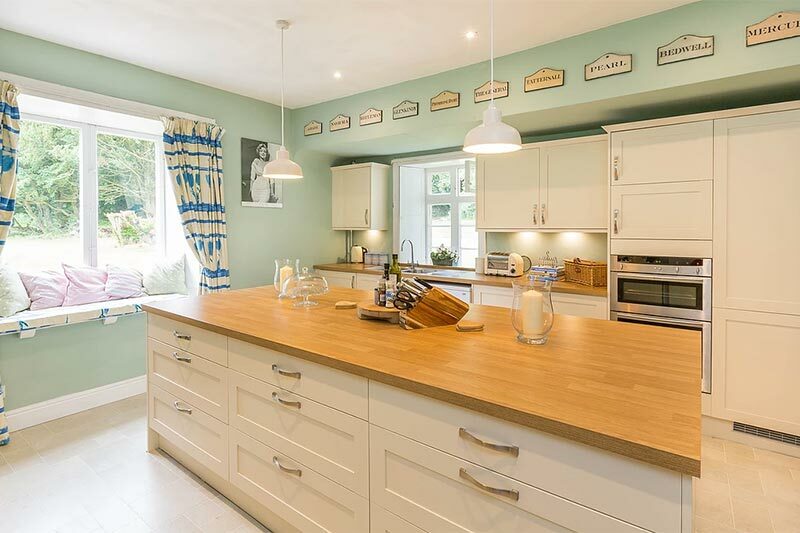 And with views of Bennachie Hill in the distance you’ll definitely have a real sense of peace. If you are looking for a wedding venue which is both historic and tranquil, then Wardhill Castle is going to be perfect for you. Wardhill Castle actually dates back to the 12th century, and it has been in the Leslie family for almost 900 years. 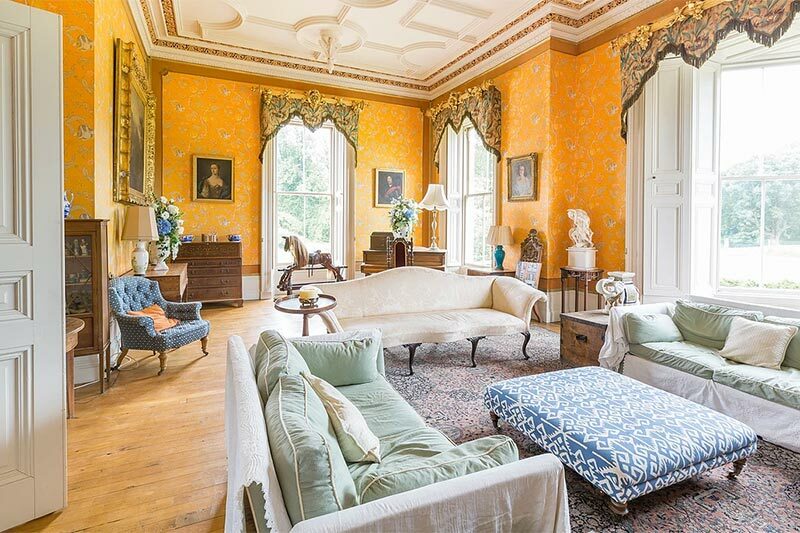 Despite being one of the oldest private estates in the North East of Scotland, the interiors are luxurious and come complete with all modern conveniences. This includes a brand new kitchen. There’s a two night minimum stay, which means you will have access the day before your wedding for setting up. Plus a wedding coordinator can be arranged for an additional fee. There are 8 beautiful bedrooms at Wardhill Castle, which can sleep up to 16 people in complete comfort. 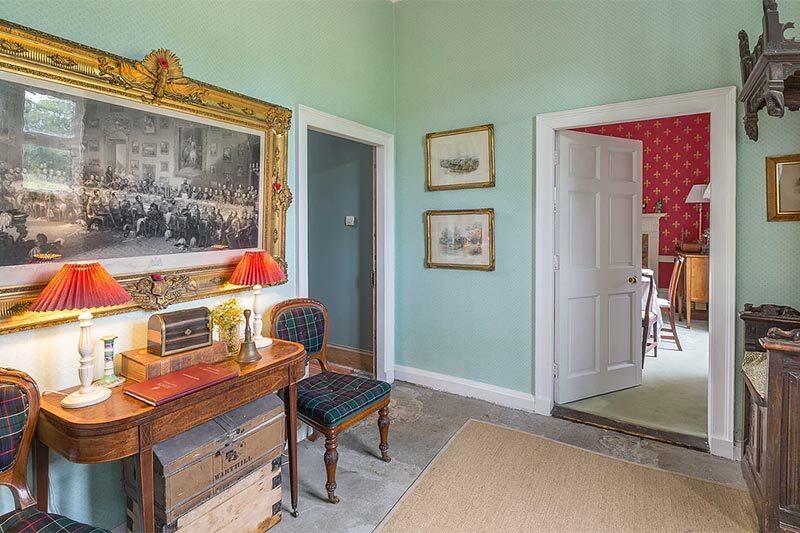 All of them are decorated to a high standard, and four of them have ensuite bathrooms. 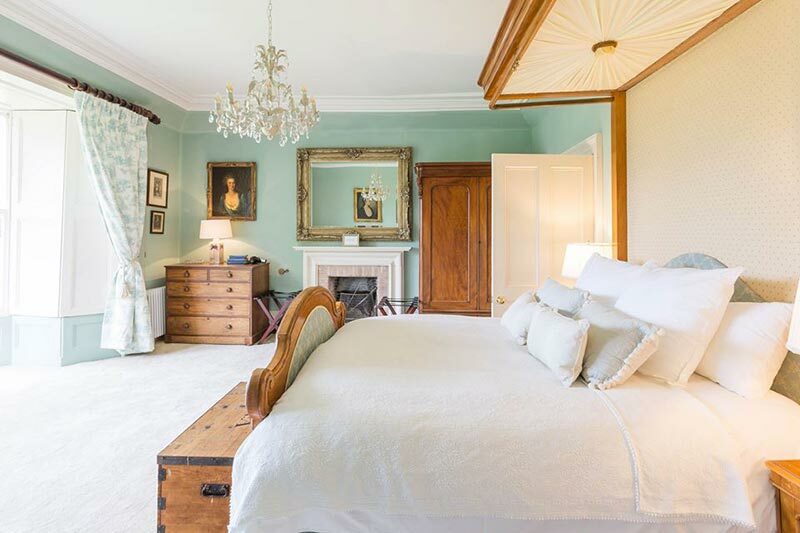 The Laird’s Bedroom will make the perfect Bridal Suite, and comes complete with four poster bed, and ensuite bathroom with shower and free standing bath. For further accommodation there is the Glamping Cottage behind the walled garden. 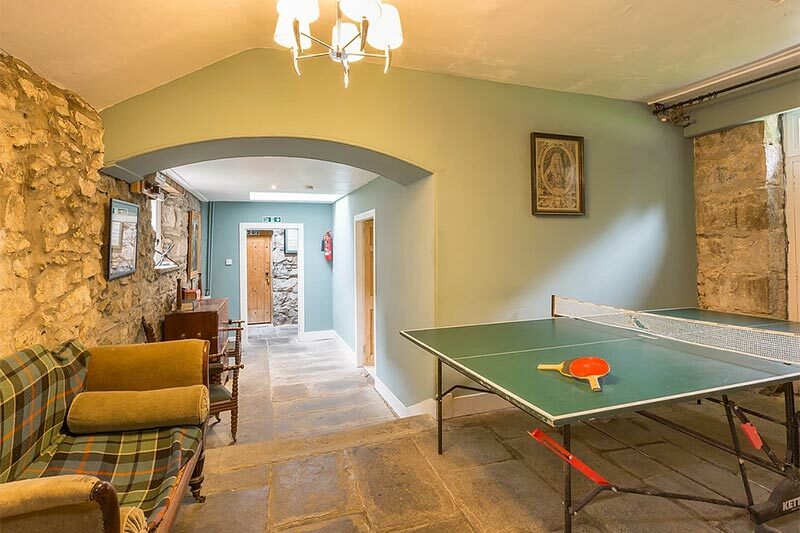 It’s a beautiful stone property which sleeps 2 people, and is only minutes from the castle. 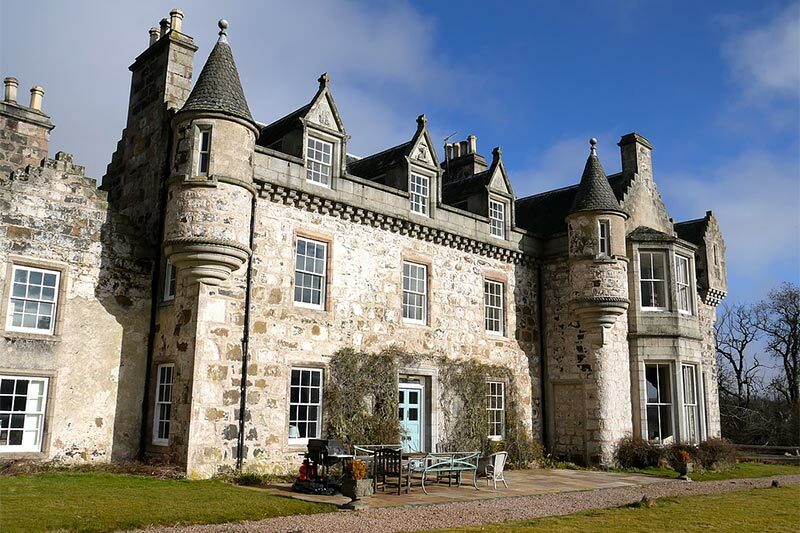 There’s also Lickleyhead Castle, owned by the same family, which sleeps 14 people and is only a 15 minute drive away. You are welcome to have an outdoor ceremony at Wardhill Castle, in either the walled garden or on the front lawn. Given how beautiful the scenery is, this could be a fantastic option. 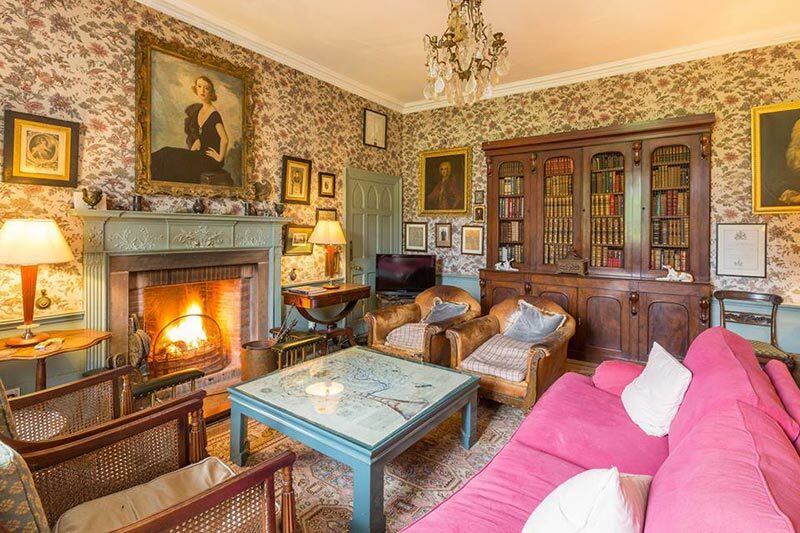 However if you don’t want to brave the elements, the Grand Drawing Room can comfortably seat 80 guests. It’s a nice compromise as the large windows let in lots of natural light and of course the stunning views. And you don’t have to worry about the weather. Failing that a marquee is a possibility, or the local church in Kirkton of Rayne which is only 5 minutes away and seats 200 people. Your drinks reception can be had either inside the castle, or outside on the south facing terrace. 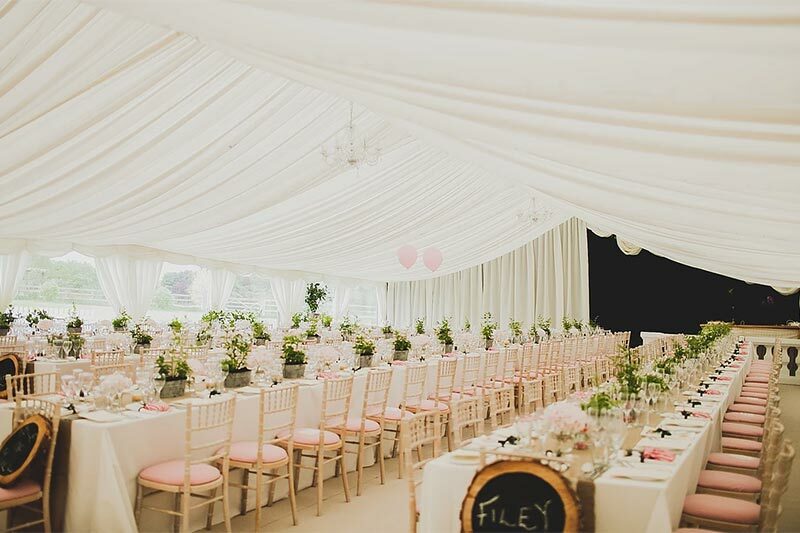 Followed by your dinner reception in a marquee, either on the front lawn or in the walled garden. The front lawn is a nice choice as the floodlit castle will provide a stunning backdrop. However the secret walled garden will add an element of surprise for your guests. Both locations have the space to accommodate a large 150+ person marquee. Because Wardhill Castle is more of a “do it yourself” wedding venue, you are free to organise any caterer you wish for your wedding meal. Aberdeenshire has a number of top quality caterers, with Hudsons Catering and Country Flavours definitely worth your consideration. You will also need an outside supplier to provide bar facilities, something which all good catering companies will do. For other meals during your stay the castle can provide an in house chef. Whilst prices start from £25 per person per meal, it will save you the hassle of having to cook. In terms of entertainment, both the front lawn and the walled garden can easily accommodate a large marquee with dance floor. And because of the castle’s isolation, you will only be disturbing the sheep with the noise. Fireworks displays are permitted, and the owners are happy for you to continue celebrating into the early hours. It’s also worth mentioning that there are plenty of country sports to be enjoyed, if you are planning to hire the castle for an extended stay. Wardhill Castle is a fabulous place for wedding photos, which will make your wedding photographer’s job that little bit easier. The gardens and grounds provide stunning backdrops virtually everywhere you look, and the historic castle will look great in pictures. If the weather is not behaving and you are forced to take your wedding photo’s indoors, the antique furniture and large bright windows will give you the perfect studio. For accurate Wardhill Castle wedding prices, you should contact the venue directly. 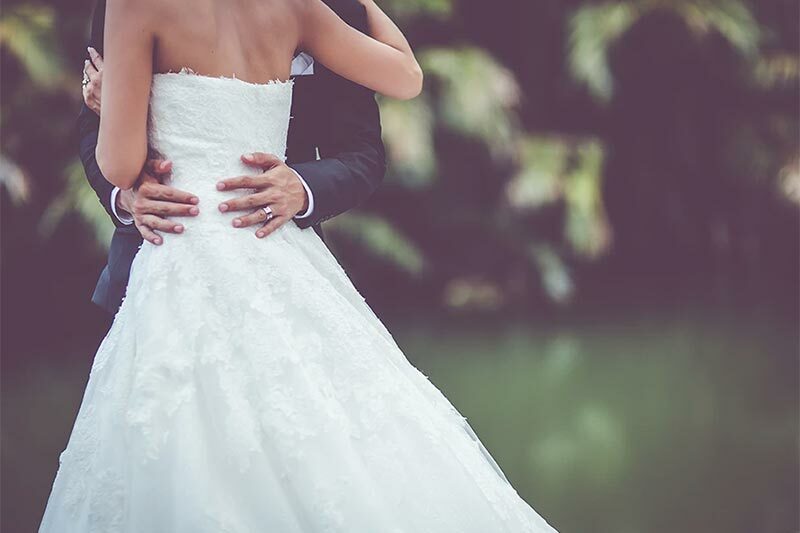 Their wedding packages can be tailored to meet your specific needs. 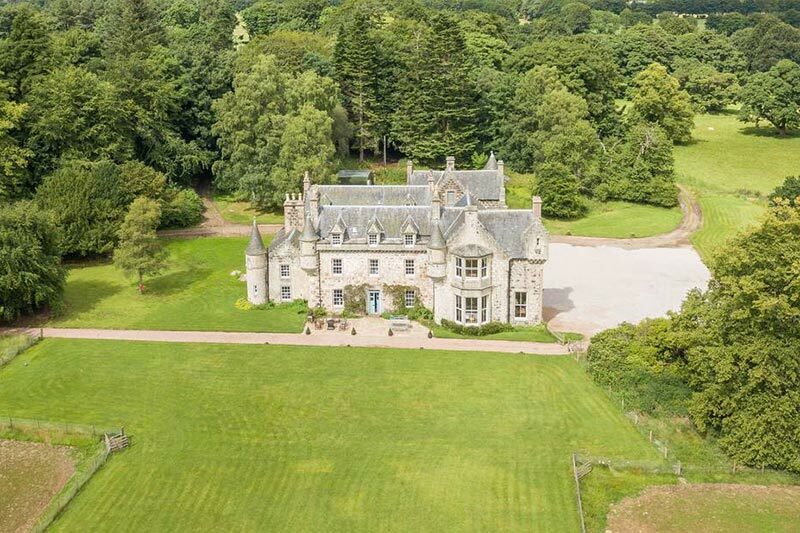 Exclusive use of Wardhill Castle (sleeps 16), price £2,450 for 2 nights. Glamping Cottage (sleeps 2), price £120. The prices above are for a summer weekend. Winter and midweek weddings could cost less. So those are my 10 reasons you should consider Wardhill Castle as your wedding venue. Of course everybody has different tastes and opinions. However if you are looking for a 12th century castle, in a beautifully secluded location, with accommodation for 16 people, and two fabulous spots for a marquee; then Wardhill Castle just might be the place for you. Whilst you are here, you should take a look at some of the other wedding venues in Scotland, featured on White Rose. You can also find Wardhill Castle’s website here.